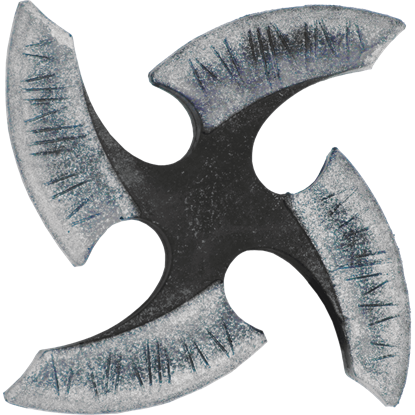 Those who spend their time in wooded areas know the utility of having a dependable knife on their hip. 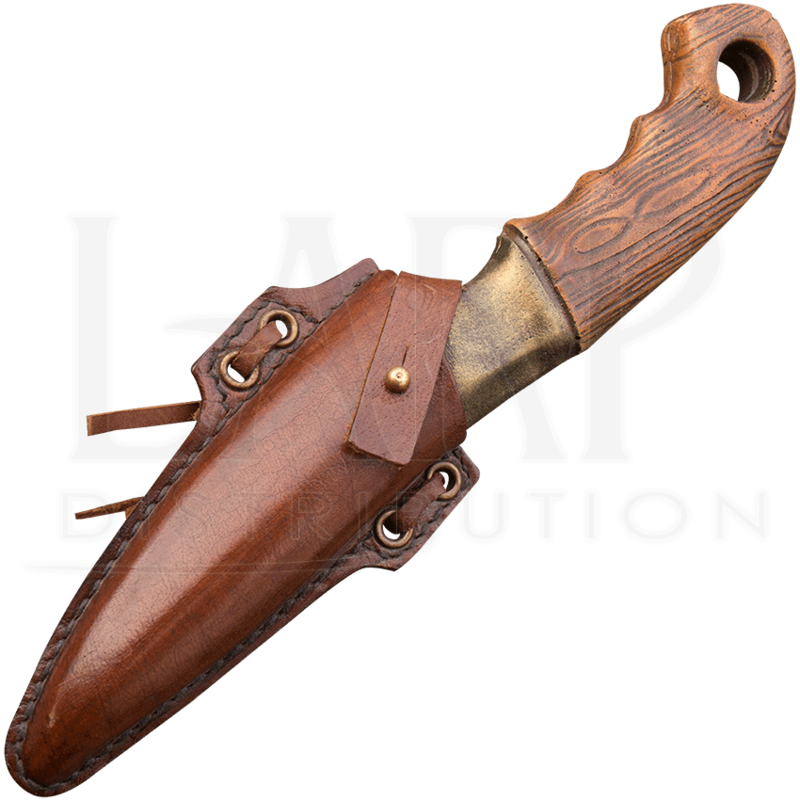 The Woodsman LARP Knife Leather Holder allows you to carry a dependable LARP knife on your hip as you roleplay your character! 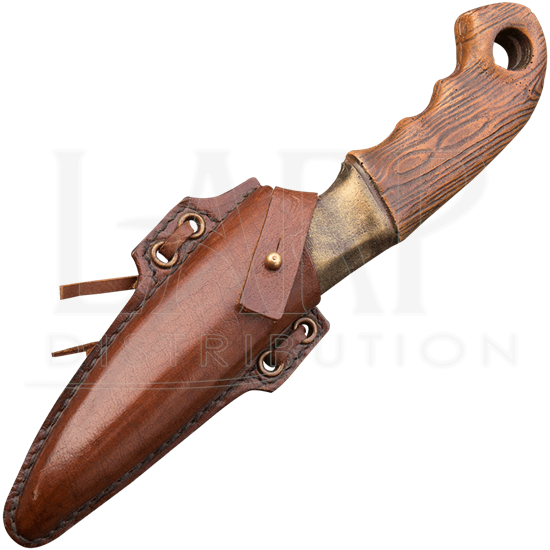 Handmade from high-quality, full-grain leather, this knife sheath is designed to fit traditional-style LARP blades, securing them inside the sheath with a strap and button fastening. 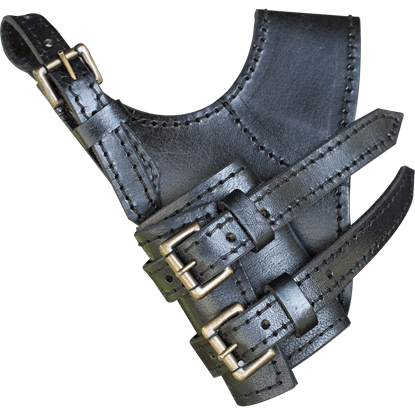 The sheath ties to your belt via leather straps, allowing you to wear it however you like. 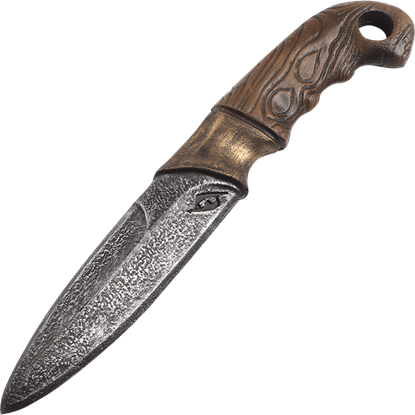 The leather that this sheath is made from is available in both black and brown, enabling you to better match it to your aesthetic! 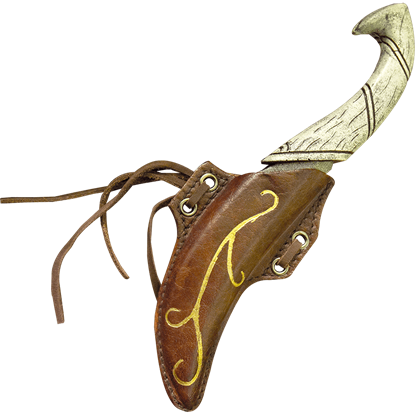 Add this incredible leather LARP accessory to your outfit with the Woodsman LARP Throwing Knife (MCI-3155) and be prepared for any encounter you might come up against!